Last spring, I met a 15 year old girl with a sweet s mile and a large fungating tumor on her left foot. She had been to other doctors who did not offer any help or the cost was too high. The tumor appeared to be cancerous, but she was otherwise strong and healthy. Cancer care is a difficult thing to navigate here. I can offer amputation as a palliative measure, but any other adjuvant treatment such as chemotherapy or radiation are exceedingly expensive or impossible to obtain. Her family agreed to an operation, so I performed a below-knee amputation. She healed nicely without complication. While she was recovering in the hospital, I encouraged her with truth about Jesus. I shared the gospel with her, the good news that Jesus came to help us to live life to the fullest both in this life and the next. He came so we can have certainty that our sins are forgiven, not by our own merit, but through Jesus’ sacrifice. 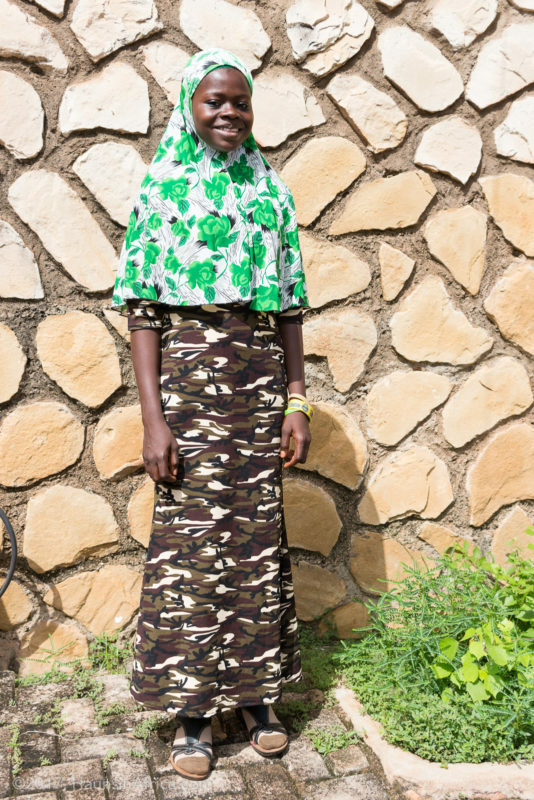 The patient said she wanted to follow Jesus, but knew it would be difficult as her family is also very strongly Muslim. 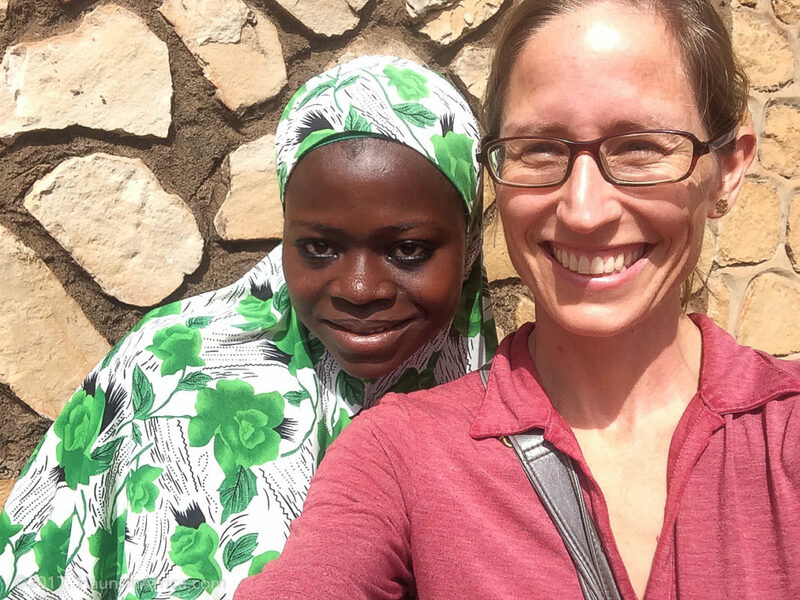 About three months later, an orthopedic/prosthetics team came through Nalerigu. After discussing her case with the leader of the team, we agreed that it would be best for her to be fitted for and trained to use a prosthetic leg. 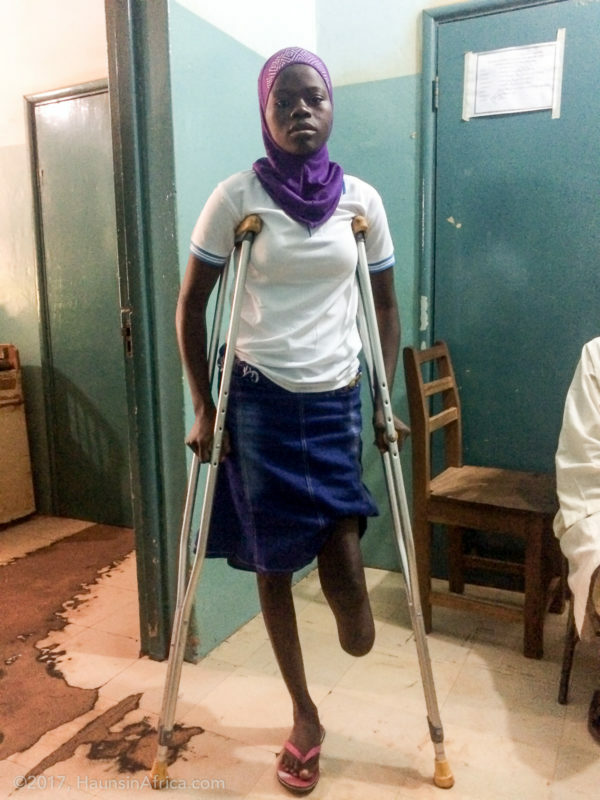 With some funding help from a US-based non-profit called Friends of West Africa, she was able to receive a new leg. After she returned home with her new leg, she came to visit me. She looked great and was confident walking on the prosthetic. I was able to give her a microSD card with over 50 Bible stories in Dagbani, her native or heart language. The pathology report confirmed my fears for cancer — melanoma. I don’t know how long it will take for the melanoma to take her life, but until that day comes, she is walking proudly and upright on two feet.